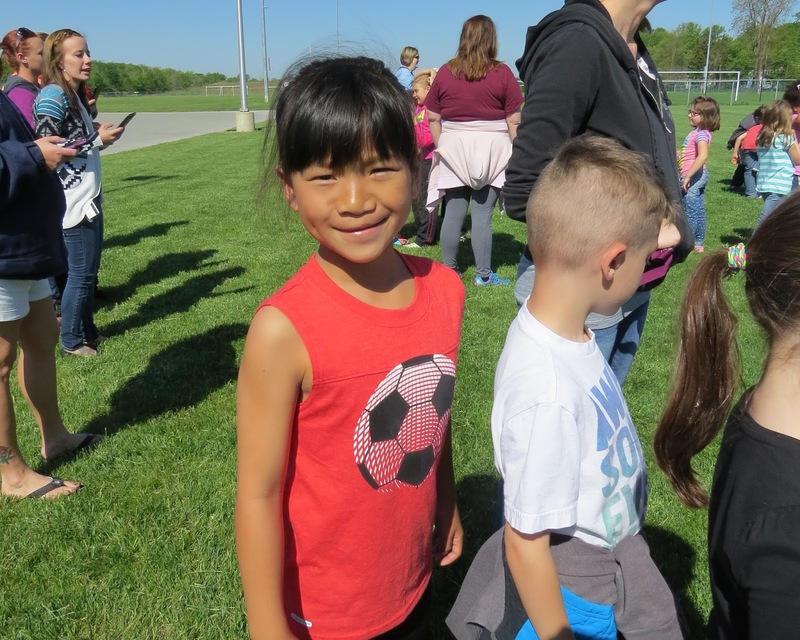 Last week was the big field day for Ava Kate! I took the morning off of work so I could watch. Daddy and Addy joined in, too! Ava did wonderful in all of the events! And they had so much fun! They didn't win tug of war but it wasn't without trying. Real hard.